These Wrought Head Nails are designed to look like the hand-forged nails of the late 1700's and are Ideal for a range of antique restoration and other vintage applications. 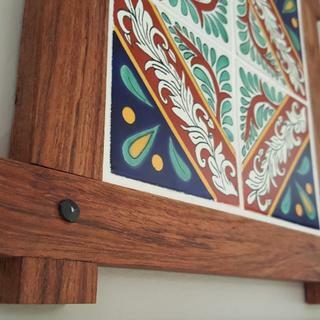 Neat for barn wood project accents. Wanted a rustic look for 2 sliding barn doors for a double wide closet. Worked great. Used screws from the back for holding power and the wrought heads nails from the front. 50 pack was the perfect size for each door. I was looking for rustic looking nails to display a bunch of antique bottle openers on a barn board. The color is better looking ( and darker) in person than the picture. thank you! Perfect for our wood floor. LOVE these nails. Perfect for the look we wanted on our wood floor. Wish I could leave a photo. I was looking for antique nails for a vintage project and these fit the bill perfectly! The nails really put the finishing touch to the barn doors that I just built. Very pleased. I was repairing some joins on a tibetan piece that lost of the fasteners on a recent move. These worked perfectly and match the originals spot on! These nails gave my charcutterie boards the old world look I was going for. Very happy with them and price is right. These wrought head nails were perfect for the rustic sliding barn door I am building to install in our rental apartment. Tried several other places, but no one had what I needed (indeed, some people at the "big box" stores didn't even know what I was talking about). Save yourself a lot of time, trouble and expense, and just go to Rockler to start with. Used these nails as referenced by the Family Handyman magazine barn door project. Gotta say the door looks awesome with these nailheads. As others said, I predrilled to avoid splitting the 1" boards I used. Quick delivery too, by the way. I had to drill a good sized hole so the nail would not split my hard wood. It is just for decoration so it did not matter. I love the look! Exactly the look I was going for. Hammered in very easy, sturdier than expected. Great for antique look and very stout. Easy to use and awesome price compared to equivalent products at other sites. We LOVE them. 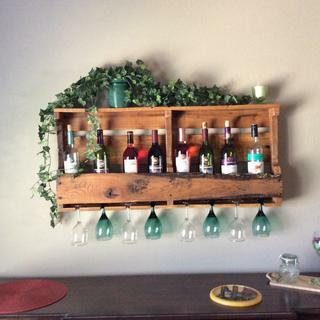 They are perfect on our wine rack my husband made. Shipment was quick. Thank you very much. We will be reordering. Excellent wrought iron head nails! Would recommend this to others. Our Son created a custom sculpture assembled from parts of - and entire horseshoes. I wanted to use horseshoe nails to mount the sculpture, did not find those, but the wrought nails were a satisfactory solution - they look like they belong with the sculpture. Worked great for my project! Shipped quickly and a fair price. I will definitely use and recommend Rockler. These are great and help add a antique look to any piece you want. Most of my use so far has been more decorative than structural so I pre-drill to avoid splitting trim pieces. They will split narrow pieces if not pre-drilled! I love these nails! I pre-drilled small holes and then just tapped them into place. They didn't mar with the hammer and it gave the perfect vintage touch to my headboard. Amazing results! 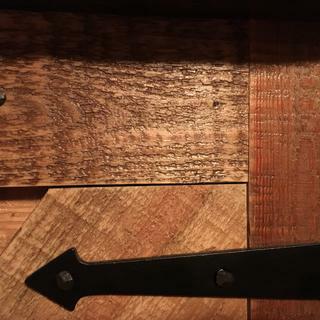 I had the idea of using hand crafted nails for my bathroom wall of barn wood. They look even better than I imagined! I love the look of these nails. I'm going to order more to enhance the kitchen cabinets! Using them for an antique look and they are great. Bought these for a future project and they look perfect! I love the rustic look of these wrought iron nails. 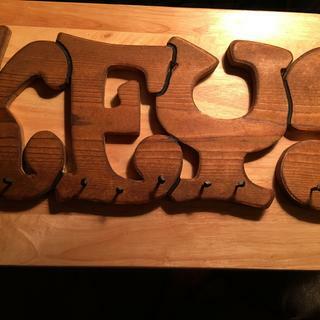 I was making a new item to hang my various sets of keys. I wanted something unique and rustic for the hooks. These old style nails fit my project perfect !!!! 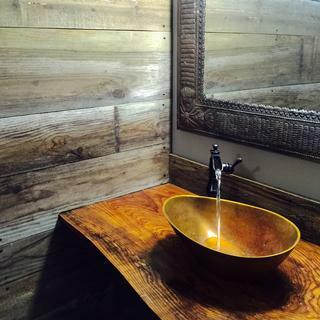 these nails look great on our old barnboard project. i wanted the look of old square head nails. These nails add great charm to any piece and people will notice. What I like best is you won't find these at your local hardware store. They work great to accent the antique projects I build. Very cool product. Looks extremely authentic. I am very pleased! perfect for the refurbishing of an old trunk. We have a local micro brewery that I have become friends with and noticed customers trying to carry beer growlers (2L bottles) with some difficulty. So I designed an 1800's style wooden carrier, and used the last of my great grandfather's wrought iron nails. The carriers were very well liked, so I had to find nails that looked like the original, and Rockler had them. They look so much alike that you couldn't tell the difference. The only thing I wished that they came in longer length's. I have recently purchased a quick release wood vise and antique box nails from Rockler. I handcraft log furniture and the vise works fantastic. I can put a fairly good size log in it to hand peel and sand with no problem. The nails really add a nice touch to my furniture. I only use cedar logs and cedar planking, so the black old style nails look really sweet. Thanks for the quality products and excellent service. When I need something, I go to Rockler first. I have also purchased a signature iron from this company (sign all my work. I made a serving tray for Christmas, which needed a special something to pull it all together. Your nails gave the tray exactly what I was looking for. I was so pleased with the end result that I made a second tray. Thank you so much, I'm looking for my next project to show off these great nails! I built some 18th century field chests for reenactments. 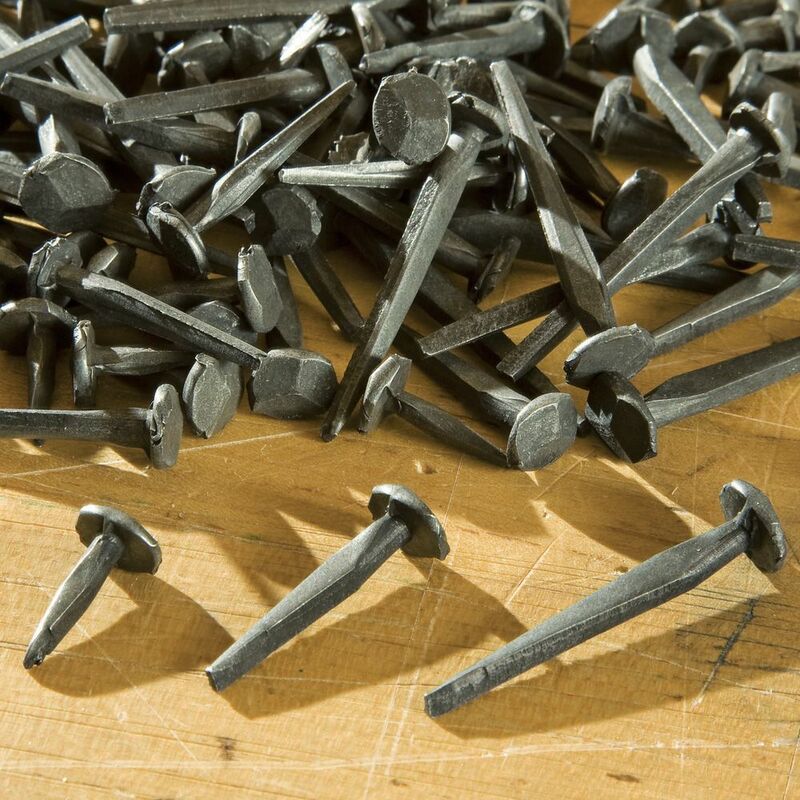 The rosehead nails give that authentic look and the black iron looks very much like real forged nails from a blacksmith. Everyone who has seen these nails was quite impressed with them. 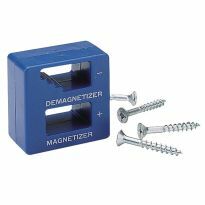 Only Rockler offers anything quite like these and the price is right. I highly recommend. When working on antiques one should make repairs with parts that keep the original item "original". 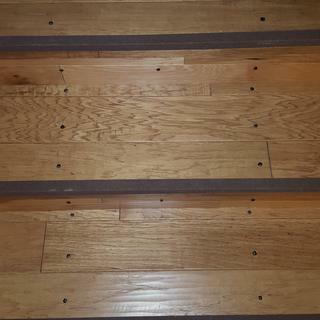 These hard to find nails were used in an 1860 Shaker Rocker that I have just refinished. I would recommend these nails as they look like the original nails that was in the rocker. Love that these are available. 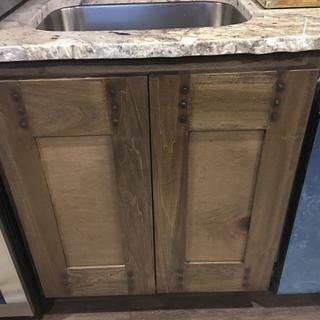 Great for reclaimed or rustic projects. My only complaint is that they don't hold in the wood the greatest. Mostly all for looks, but do hold a little. Might be best to use a little glue with these..
Good for restorations, but some in pack are not useable. My overall rating is "Good", however you must be careful to pre-drill pilot holes before nailing into soft wood such as pine. 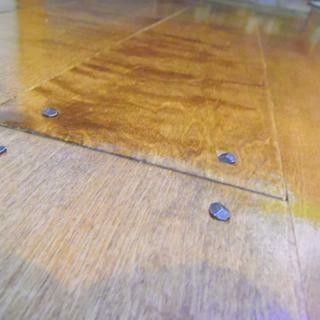 The nails will cause pine and even oak to split without pre-drilling. Beyond that, the nails give an outstanding "finished" look to the finished piece. They can be a nice accent to the piece your working on. 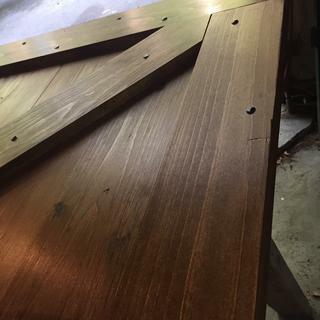 I was restoring an antique chest that had missing hinge cut nails and several smaller cut nails in the sides. I could only find 5/8&quot; and 1 1/2&quot;cut nails in small quanities on the Rockler web site. Most sites required you to buy 10 lbs, while I only needed a half dozen of each. The Rockler cut nail heads were too big but after some grinding that now look like the orginals. The 1 1/2&quot; nails were pliable so I could bend them for the hinge nails. If I could have found cut nails with the right sized heads, I would have rated this product excellent but with a little work,my project and the nails came out Very Good! We used the nails to help build a mock blacksmith shop for our church Christmas party. They looked authentic to the time period and we gave many away as keepsakes. I will definitely think about using more products from Rockler in the future. 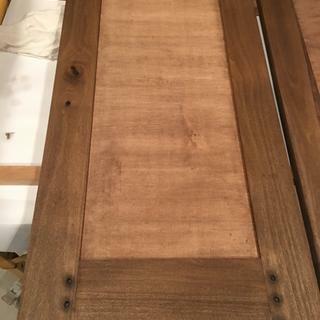 I bought these for interior barn door project after seeing them featured in Handyman magazine, unfortunately I'm going to have to go another route. They look nice at first, then I found only 45 of the 50 in the bag were usable. Other 5 were missing most of the head. I found that while using these to fasten 1" X lumber the boards wouldn't stay together, the nails easily come out of their place. I predrilled holes with a very small bit after finding that when I didn't it split the back of the wood. I will be going a different route, wish these would have worked as good as they sounded. project coming up. Rockler rules!!! Making a rustic coffee table. For a vintage trunk project. 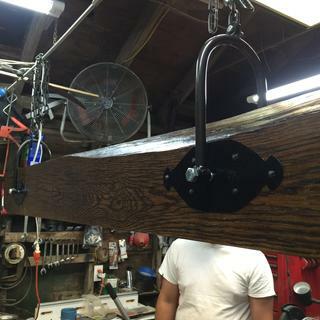 Needed for barn door I am building. 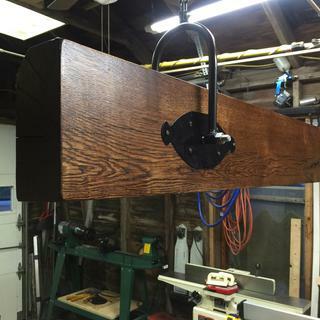 Use these when making barn doors with reclaimed wood. Because they look so good. The length is what I need for my project. I choose your company over another because the shipping was far more reasonable. I am building a pirate's chest. It's a present to Captain "Redhands" William. I want it to look authentic especially as I plot a mutiny against Captain William. I plan to maroon him on Skull Island with the same chest and and naught but a bottle of rum. Then take charge of the good ship the "Greasy B*stard" and terrorize the high seas. I repair old saddles and nails like these were used frequently in saddle making. 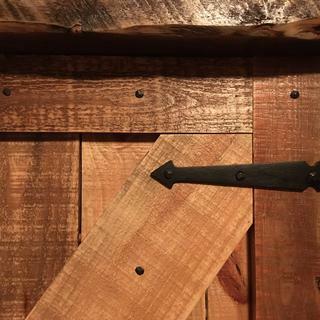 Building a barn door and need these nails for authentic old look. Continuation of an old project started eight years ago in California. My horizons have expanded in this one small instance. pass nails out to students who are studying Minnesota history in the 1800's. Thanks! DIY barn door. Wanted to give it an older look. They give a rustic look to my barn doors. Look great on interior barn doors for our customer! THEY ARE THE BEST PRODUCT ON THE MARKET FOR DECORATIVE WROUGHT IRON NAILS. Looks like I can install on a child's treasure chest. THEY ARE THE ONLY THING OUT THERE THAT LOOKS THIS RUSTIC. I USE THEM AS AN ACCENT ON RUSTIC SERVING TRAYS MADE FROM BARN WOOD. 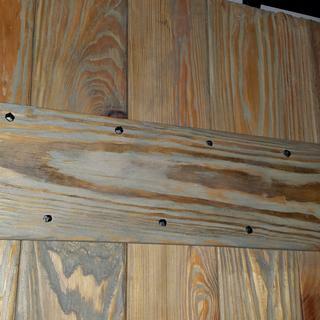 I am using these nails for rustic looking head board I'm building. Building barn doors for an addition to our house. Exposed trusses support the roof. The nails will be a nice touch. To give that vintage look some of my projects. I use this excellent product to give interest to rustic serving trays I produce. They are just the look I need. Building a rustic looking project and these nails should look great. Restoring an antique weaving device. 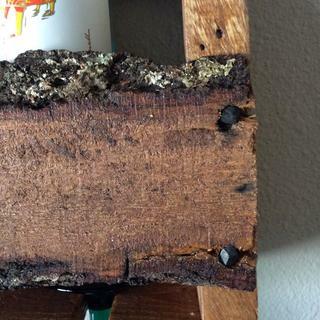 I am building a shelf with old reclaimed wood. I like the look of the old nails as an accent as well as construction support. On the hand forged nails what is the approximate measurement of head on nail? BEST ANSWER: The head size is 5/16" to 3/8"
BEST ANSWER: Yes, you can say that. Perhaps a really dark, flat charcoal color. They are not painted, but really come that dark. This picture shows them with too much light and they look steel grey, but they are actually much blacker than this. Yes they are. They have a very nice Forged look to them. I'm building a wall cabinet out of 3/4" oak, and I want it to have a medieval look. 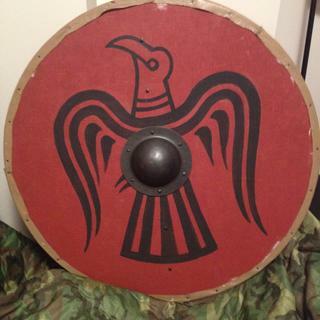 Would the 1 1/2" version of these be appropriate (incl. strong enough)? BEST ANSWER: Yes but realize the nails are narrower at the bottom and get wider at the top. Use a soft head hammer to prevent finish from chipping off the nail. Otherwise very rustic and cool looking. I've used them on barn doors and other various wood art projects. Used the nails to make a colonial-looking tavern sign. They are very strong, great quality & look authentic. Hope this helps. Have fun. They may be strong enough to do the job. 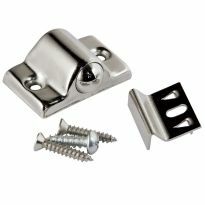 I would also use other fasteners as well.to make sure. Have the nails more for looks. I would say these are more decorative than functional Tim. They look great but aren't really very " grabby". Not in my opinion. I would only use these nails for detailing your furniture. I would like to use these nails for a barn board wall project. I would need the 1.5", but my main question is does anything adverse happen when you hammer them in? In other words, would they get too nicked or scratched? Should i use a hammer with no indentations on the hamner face? Should i hammer them in with some type of material covering head of nail? Any tips, or am i over thinking it? I know gun blue can be used to "antique" things if they should look antiqued, especially if i scuffed the nails. Thank you. BEST ANSWER: I have used these nails on a few occasions. I saw nothing adverse as a result of striking the head of the nail with a hammer. I did, and would use a hammer with a smooth face. I drill a pilot hole when using these. Look at the picture and notice that the nail shaft is wedge shaped. You want to drive them in with the wide part running with the grain of your wood. If you drive them in with the wide part going cross grain, you run the risk of splitting the wood.You'll see once you start using them...I really like them. I used these as a decorative accent on several small boxes I made. I first tapped a pilot hole with a thinner finish nail. I then pressed the wrought nails into the pilot holes, held a .75" thick piece of oak on top of the nails, and then hammered them in from the back of the oak piece. It worked well. If you are that concern about the look of the heads I would cover them, or use a rubber mallet. You might also per drill the holes, so that you don't have to drive them in so hard.
. Should not be any problem . Would use a finish hammer however if you are concerned for any scarring at all . Yes, I think the 1" would be fine but I have always pre-frilled a smaller hole before driving the nail in. You could use the 1" , but it depends on how much you will use the door, and how many in each handle. Just wanted confirm. So 50 nails in total in 1 pack of wrought iron nails? Am i correct? BEST ANSWER: Yes, 50 total. Where are these nails made? BEST ANSWER: I am sorry I don't know. We actually did not use them as we were trying to match something specific from a client and these did not match. have no clue. they were fine for the job I put them to. Odd that your supplier here, can't advise you. I truly do not know nor noticed. They served my intended function. Thanks for the reply and they definitely look great, I just really like to buy USA made stuff when I can. are the 50-nail packs blended lengths or can I specify 50 nails, each one being 1.5" long? BEST ANSWER: Mine were all the same length. They're all 1.5 ". The shanks of the nails are irregular shaped. Some are almost flat. You can specify the length per pack. Are these made of iron? BEST ANSWER: These nails are made of mild steel. Real wrought iron has not been made in the US since 1950. Yes. Appears to be a black wrought iron nail that can be picked up by a magnet. BEST ANSWER: Yes. Just pre drill and watch how you strike the heads. It takes the paint off. I don’t have a soft blow hammer. I use a piece of pine. Sometimes I touch up with a marker. It’s more precise. Well, more likely steel, but very hard metal in either case. 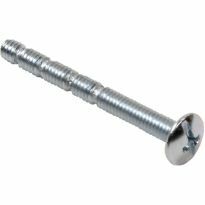 i am covering a wall with 1/4" material, the drywall is 1/2", what length should i use, should i drill a small hole 1st? BEST ANSWER: I would use 1 1/4, You can per drill,that would be time consuming and depending what the 1/4 in material is made of. If it is a ply I would, if it a composit no. What material are you using over the drywall? It is a wood product similar to thin plywood, decorated or antiqued to look old. Are they wood studs in the wall or someting else? How are these nails measured- from the base of the head or end to end? BEST ANSWER: Measured from the base of the head to the end of the nail. The head itself will sit flush on the surface of the table or whatever you are using them for as a decorative feature. Hope this answer helps. are these 6 penny nails? 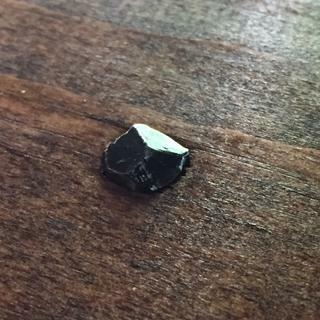 Can you clinch these nails into a board? Will they bend over on the tip or are they too rigid? BEST ANSWER: They will bend but be advised that they are pretty tough. It will take more force to bend them than a normal nail. This could cause you to damage your wood when you bend them. I used some recently that went through both pieces but strength was not critical so I just cut them off. They are pretty tough to cut as well. BEST ANSWER: Did you end up using these nails? I'm about to do the same thing but our plywood is pine. Expensive nails for it not to work well. I'm looking for Wrought iron nails with decorative head half inch or larger between half inch and three-quarter would be ideal. Are they available ? What is the head size on these wrought head nails? BEST ANSWER: 5/8", 1" and 1-1/2" with a head size of 5/16" x 3/8"
I'm mounting caster to antique furniture. Need forged nails ½" -?" long that will go through a ?" hole in the flange. Could you please tell me if you have anything like that?